Some strong mbaqanga and jive by label-loyal Johann esburg based seventies bands. 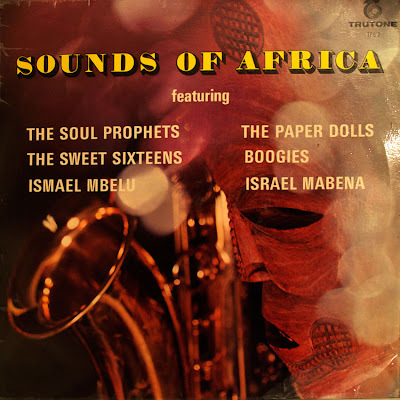 The Jive Boys, The Highway Boys and The Naledi Boys all released multiple seven singles on the Soweto label over this period. 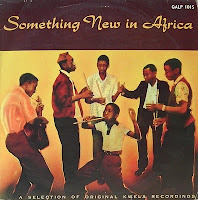 This 1976 compilation also features two bands new to Electric Jive - Kwa Thema Boys and Badisana . The track Gerty's Joint stands out for it's soul-funk keyboard and guitar riffs. 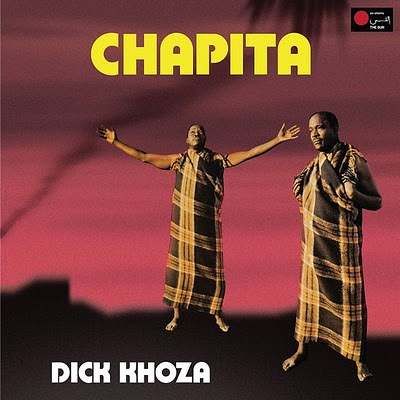 Alfred Mthabane Ndima's track "Sea Water" appears on Nick Lotay's classic Mavuthela compilation shared on Matsuli during 2009. 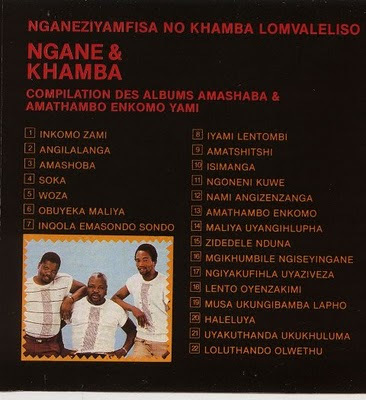 This album features Ndima with a session band playing "Sea Water" and eleven other tracks written by Tom Vuma. 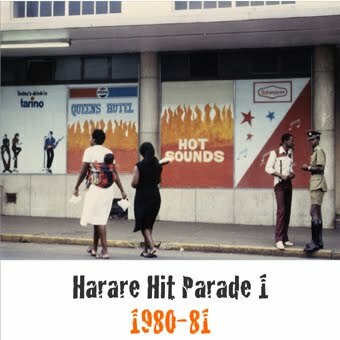 Most tracks are all more than decent 'stripped down' instrumental mbaqanga samples - electric guitar, bass, drums, keyboards and sometimes accordion - just waiting for a trio of singers and saxophones to fill it all out. The guitarist sounds suspiciously good enough to be Marks Mankwane. These were different times. A sense of optimism midst daily struggles and a nation still drunk with liberty. Blistering dancefloor pop in any language. That spoke too. Still speaks. So enjoy this time capsule from the past that keeps us from forgetting what can be possible. These were compiled by Matsuli reader Muvimi who spent time teaching in Zimbabwe in the early part of the 80s. 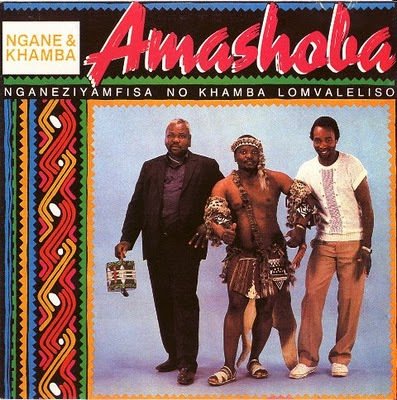 Kwela music managed to reach across racial and cultural boundaries a lot more than most other South African music forms have in the last fifty years. It also evolved to be played by different musicians for different audiences. In the stream of morphing styles, Kwela drew on American swing and local marabi, and formed the future of what was saxophone jive, electric jive and mbaqanga. Kwela music also had roots and strong resonances with Afrikaans folk music. Any contemporary vinyl collector in South Africa cannot help but be struck by the huge diversity of kwela music that can still be found. 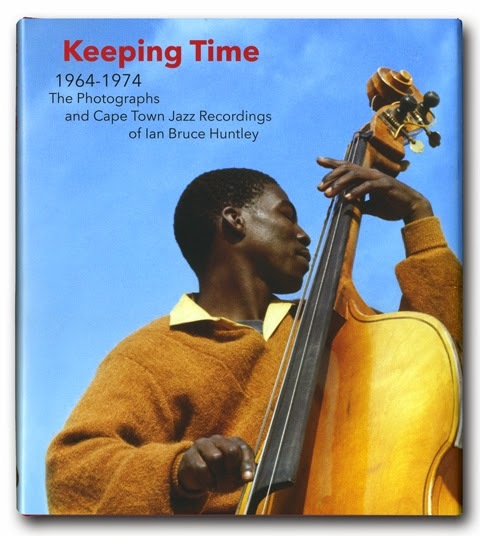 In a 2008 chapter "Kwela's White Audiences" in the book “Composing Apartheid” (Wits University Press) music researcher Lara Allen asks why it was that, in the increasingly repressive period of the 1950s, Kwela music was “appreciated by a number of different identity groups that crossed the racial categories on which apartheid was premised”. Young white rock 'n' rollers as well as Indian youth – mostly in and around Johannesburg - in the late 1950s picked up on the Kwela craze, sometimes leading to racially separated groups of people dancing simultaneously to Spokes Mashiyane and his band playing at Zoo Lake on Sundays. Complaints resulted in the kwela bands being forced to move to another section in the park. Allen quotes from The World newspaper (30 August 1958) that “after the Africans had pleaded with them (the white fans) not to come dancing in the African section of the grounds as this would cause trouble with the authorities, the white teenagers left voluntarily”. This blog post is a potted illustration of some of the "other" strands of Kwela music that emerged in South Africa. We wait for Lara Allen's forthcoming book to provide the full picture. Examples of "mainstream" Kwela have already been posted on this blog here and here and here and here and here. Another strand in this rich history of Kwela is what is called the “coloured” musical culture with a form of music called quela that has boeremusiek vastrap and samba influences. An example of the roots of quela is the Madala Kwela (RS / MF), and Jubilee Vastrap (RS / MF) by Artie Davis and Nicky Parker’s Band. A more recent Cape Jazz incorporation of Kwela is Robbie Jansen’s 1989 “Bo-Kaap Kwela” (RS / MF). All of these different kwela’s became fairly quickly fused and confused. Certainly confusing to today’s audience would be this one - “Klopse Kwela” (RS / MF) on the late 1950s album “Let’s Go Gay” by Charl Segal and his Rhythm. See the album cover picture above. A good example of boeremusiek's incorporation of the pennywhistle and kwela is contained in this 1961 78rpm by Fred Wooldridge en Sy Pennie Fluitjie - the two tracks: "Bosveld Vastrap and Pennie Fluitjie Kwela" can be found here (RS / MF). This 78rpm recording was found in Windhoek earlier this month - it came from the estate of a German family. It is a curiousity as to why this recording was issued on 78rpm in 1961, when, in 1958, labels such as Gallo and Decca succesfully released a 33rpm Kwela recording of the Solven Whistlers targeted at white audiences. 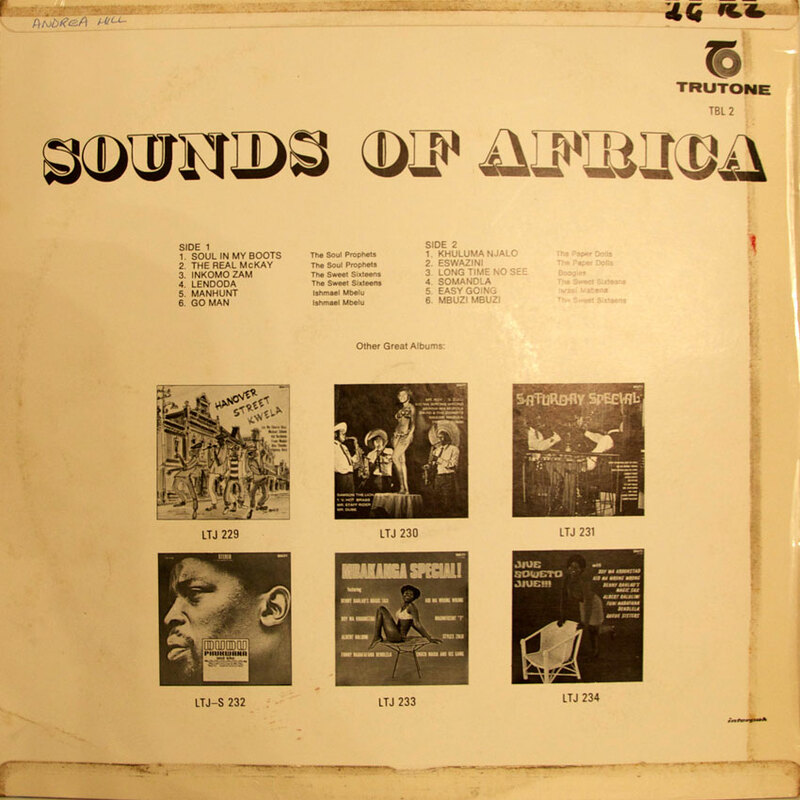 Something New in Africa was the first black South African music released in the country on 33rpm LP. Kwela music was also co-opted and used to narrate conservative images of “happy primitives”, while others weaved it into parodies and comedy (Al Debbo) that was at best narrow in its tolerance or appreciation of difference. Have a listen to Kwela Duffy and the fanagalo song. Download link at bottom of this post. Kwela music was reinterpreted – with both rock ‘n’ rollers and boeremusiek fans “able to identify elements in kwela with their own music to dance their own dances to the new genre” … most (mis)recognised themselves in not seeing the subversive significances of their innocent identification. Allen concludes: "For the most part the politics of pleasure overrode the politics of identification, at least for kwela audiences … The conflicts and contradictions raised by musical appreciation across the race barrier, the confusion of resistance against racial segregation with youth rebellion, and the fusion of pleasure and identification, all suggest that some music was capable of decomposing apartheid even at its genesis”. The word “kwela” also became used to mean “get in” or “get up” and was used by white policemen when they arrested black people without passes and telling them to get into the van. Hence, the retro-parody 2004 song by band Mafikizolo with Hugh Masekela – “Kwela Kwela”. (RS / MF) "There are the police they are coming mother – kwela kwela”. The song goes on to say we are no longer afraid of the police, we will call Sisulu and Mandela to our defence. We seem to keep uncovering these compilations made for European homes (local and overseas). The cover imagery here is at least one step removed from the usual curios and animal pictures. So we get a bit of mysticism crossing into the psychedelic. As for the sounds its a mix of rock solid urban mbaqanga jive, Soweto soul and bump groove. Enjoy!